The Hammered Floor Renewal is for a rougher floor with grey to black traffic areas that have really been worn down to the bare wood. 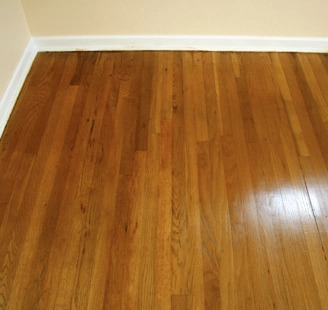 The finish may be intact along the perimeter of the room, but the center of the floor is completely worn. 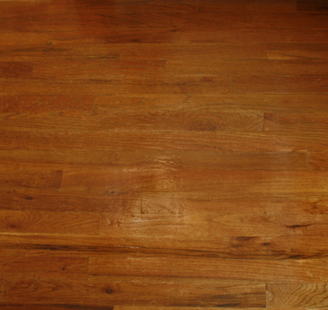 Deep impressions and cross grain scratches are visible due to large dogs, children or moving furniture around, such as a piano or refrigerator. 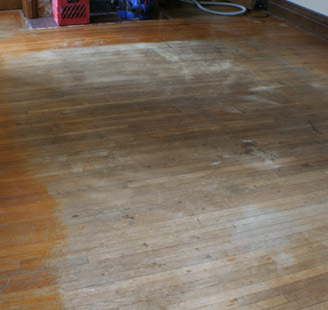 Water damage may be present on this type of floor and separations between the boards run throughout the entire wood surface. 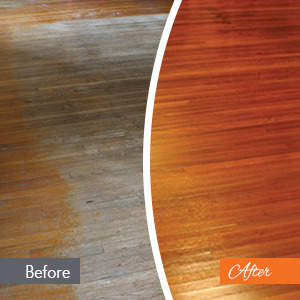 With this type of floor the technician needs to screen and fill the floor and it may take 1-2 days to finish the job.